A.O. 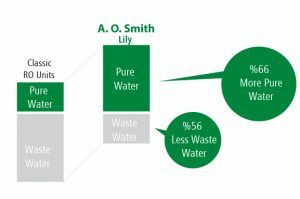 Smith Lily Reverse Osmosis Water Treatment System is designed with A.O. 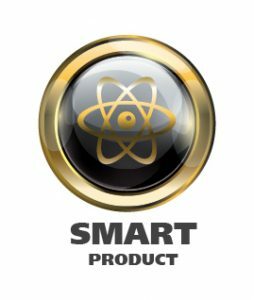 Smith’s US patented Side Stream Membrane Technology that provides the highest efficiency with the lowest waste water possible. 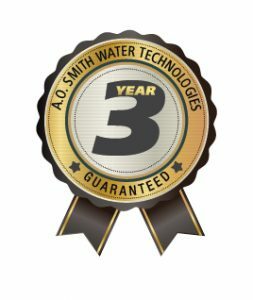 A.O.Smith offers ”A Comprehensive Savings Package” to our customers with Side Stream Membrane Technology. Unit Net Weight: 14 kg. Easy to clean and move compact cabinet preventing dirt and dust from the system. 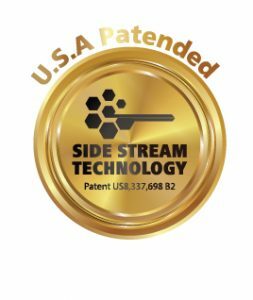 Highest efficiency with the lowest waste water rate by Side Stream Membrane Technology. Easiest and quickest way to purify Municipal Water. 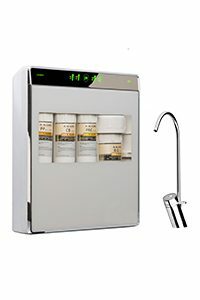 Removal of heavy metals, bacteria, virus , undesired taste and odor from water. A perfect taste of water for drinking, cooking, and all beverages i.e. tea, coffee, ice tea, etc. 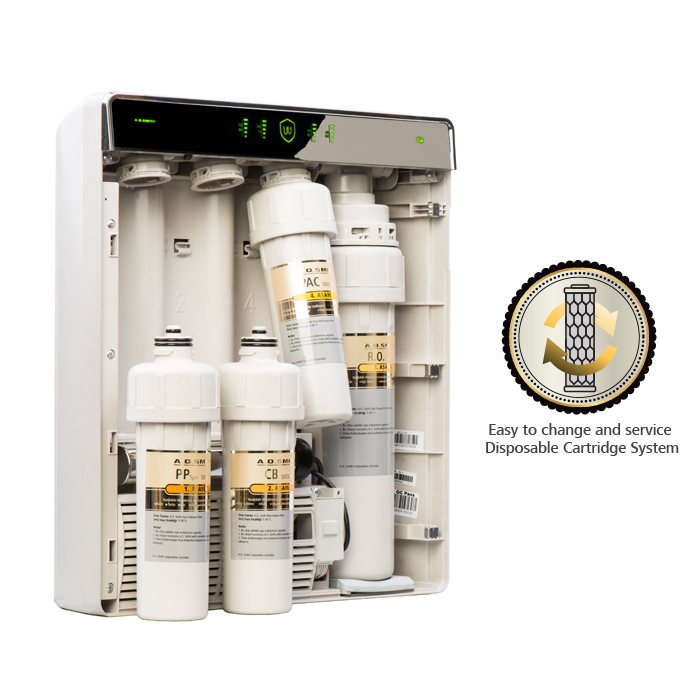 Easy to change and service Disposable Cartridge System. 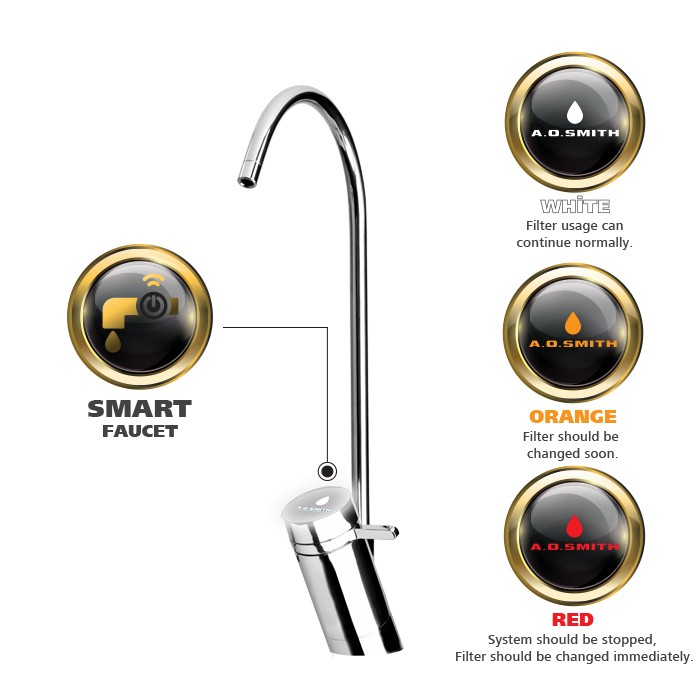 Ability to follow the functioning of the system by Status Indicators. Two phase alarm system and instant display warning for filter and UV lamp change time (including R.O. Membrane). 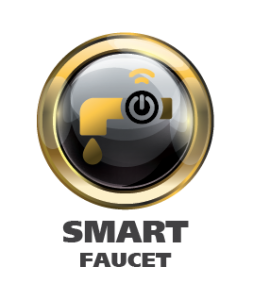 Safety Protection for leakage and Lack of inlet water.